Colesberg Karoo accommodation & information home page. Welcome to the official website of Colesberg town. This web site is designed to give you travel and accommodation information about Colesberg. You will be able to find suitable Colesberg accommodation on this site.There is a wide range of Colesberg restaurants and you will be pleasantly surprise as to the high standard of this industry. We have attractions, information about Colesberg area ranging from the current weather to past history and everything in between. Colesberg town is situated between Johannesburg and Cape Town. We are next to the N1 and it is the ideal stopover while on your journey. View our maps. Accommodation in Colesberg is a very popular option among travelers. 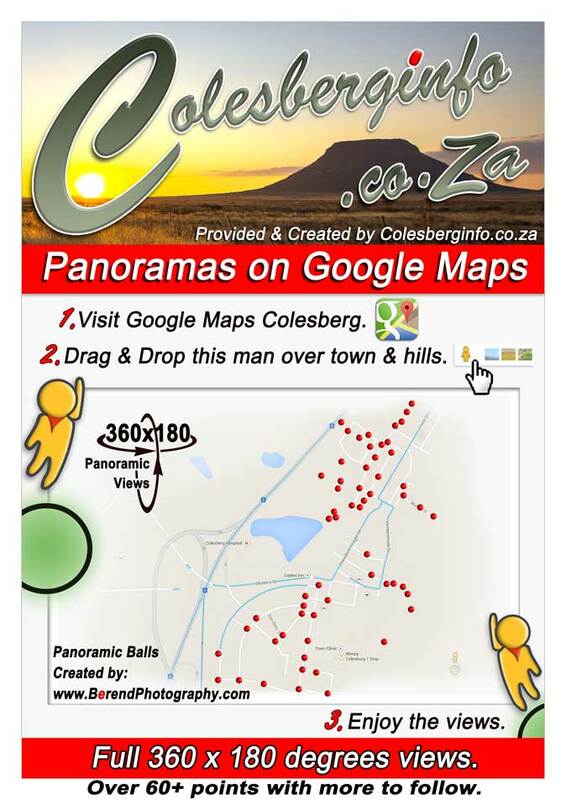 NEWLY CREATED 360x180 panorama views of Colesberg town and on the hills. 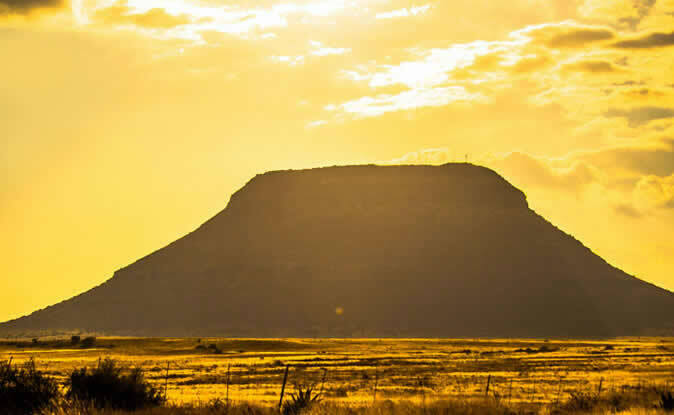 When you reach Colesberg area, you will recognize the typical Karoo landscape with the well-known Coleskop hill on the horison, fresh air and clear skies with about every star brighter than normal. The accommodation in Colesberg has a variety of options that range from luxury guest house units, hotel, lodges, self catering chalets to backpackers, budget options and more. Only 220km’s from Bloemfontein, accommodation in Colesberg are very popular. From Bloemfontein to Cape Town you still have to drive 1000km’s, but if you stop at Colesberg you only have 780km’s to go. Be sure to support the locals by getting one of that handmade “wind pompies” which is a sign of life in this Karoo area. Stop over and get a nice Karoo lamb to take with on holiday or even better stay a few days and enjoy our wide range of restaurants. If you have any questions or suggestions just contact us.